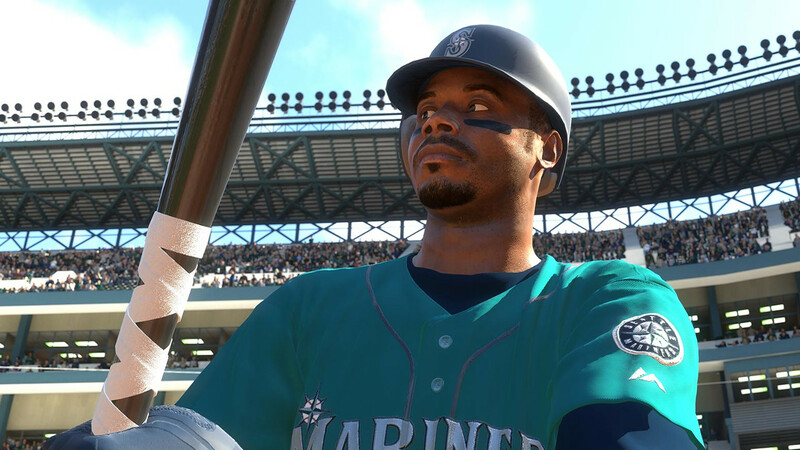 The problems with the hitting system in MLB The Show 18 have not been solved despite five patches directly attempting to fix them and now another has arrived today that makes changes intended to provide more consistent results. Whether it be a PCI that has randomly moved during swings or poor contact off good timing and good placement it has been a frustrating year at the plate, with online games especially affected from the last update resulting in agonizingly low scoring games often stretching many extra innings. This new patch attempts to better reward good timing/placement for both offline and online games and makes a few improvements to problematic fielding issues. ♦Good PCI placement is rewarded more. Specifically, left/right placement of the PCI is more important now for hit types. Above the PCI will still be a fly ball and below will still be a groundball, but lining up the PCI accurately left/right will expand the cutoff between a fly ball or a popup more than before. This bonus mainly affects balls directly above or below the center of the PCI. Likewise, it will be much harder to generate a line drive on the extreme left or right of the PCI. Notes: This is a global change to MLB The Show 18 – it impacts both offline and online gameplay, and all modes of play. This fix addresses hit type generation when the PCI is placed well (ball being near the center). Prior to the patch, balls directly above and below the PCI by a small distance were generating weaker than solid hits. With patch 1.11, you are guaranteed good hit type generation when the PCI is centered approximately on the ball. You will see fewer solid hits on the extreme left or right edges of the PCI. For an average skilled user, the bonuses should balance out with the penalties, but a more skilled user will see an increase in offense. The previous PCI diagram that we showed during the gameplay stream is now modified with a greater emphasis on the center. Batter and pitcher attributes, along with the user’s input, are still the most important factors. Also, remember that good hit type results DO NOT guarantee success (you can hit the ball hard and still line out). This is a change that will better separate player skill and better match user inputs with game results. ♦Fixed an issue with outfielders jogging after balls coming to a rest. This usually occurred when the ball was hit in the gap or after a miss where the outfielder had to chase it down near the wall. ♦Improved 1B efficiency on throws to home.